An important safety warning to owners of HP laptops: Hewlett-Packard is recalling over 6 million laptop power cords in the U.S. and Canada due to reports of overheating, melting, charring and personal injury (burns). Specifically, HP is recalling the LS-15 AC power cord, which was sold with HP laptops and accessories (like docking stations) between September 2010 and June 2012. 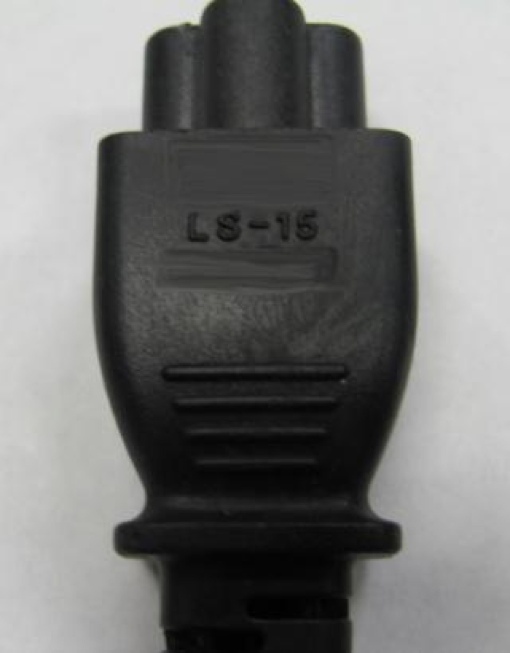 Affected cords can be identified by the LS-15 tag located on the AC adapter. According to the U.S. Consumer Product Safety Commission, there are two reports of burns associated with the recalled cord and 13 incidents of "minor property damage." If you own an LS-15 power cord, you should immediately stop using it and contact HP for a free replacement. Simply visit the HP recall website to get the process started. Note that you’ll need your notebook serial number and the code on the AC power cord to complete your claim. And this is something new?!? We have known about HPs problems with their power cords for years. They have been good at frying motherboards. The service person we spoke to said that it was from a faulty motherboard that HP was aware of and wasn’t doing anything to fix. My daughter went through four power cords and had two motherboards fried in three years. One of the cords caught fire. My daughter’s boyfriend also had a motherboard fried less than a year after purchasing. Now those with affected models can get free replacements from HP (which presumably won’t catch fire).